1. Fitzgerald D, Haas DW. M. tuberculosis. In: Mandell GL, Bennett JE, Dolin R, eds. Principles and Practice of Infectious Diseases. Vol. 2. 6th ed. New York, NY: Elsevier/Churchill Livingstone, 2005:2852-2886. 2. Jensen PA, Lambert LA, Iademarco MF, et al. CDC. Guidelines for preventing the transmission of M. tuberculosis in health-care settings, 2005. MMWR Recomm Rep 2005; 54(17):1-141. 3. Styblo K. Recent advances in epidemiological research in tuberculosis. Adv Tuberc Res 1980; 20:1-63. 4. Stead WW. Tuberculosis among elderly persons: an outbreak in a nursing home. Ann Intern Med 1981; 94(5):606-610. 5. Behr MA, Warren SA, Salamon H, et al. Transmission of M. tuberculosis from patients smear-negative for acid-fast bacilli. Lancet 1999; 353(9151):444-449. Erratum in Lancet 1999; 353 (9165):1714. 6. Dooley SW Jr, Castro KG, Hutton MD, et al. Guidelines for preventing the transmission of tuberculosis in health-care settings, with special focus on HIV-related issues. MMWR Recomm Rep 1990; 39(RR-17):1-29. 7. Guidelines for preventing the transmission of M. tuberculosis in health-care facilities, 1994. Centers for Disease Control and Prevention. MMWR Recomm Rep 1994; 43(RR-13):1-132. 8. Guidelines for preventing the transmission of M. tuberculosis in health-care facilities, 1994—CDC. Notice of final revisions to the "Guidelines for Preventing the Transmission of M. Tuberculosis in health-care facilities, 1994." Fed Regist 1994; 59(208):54242-54303. 9. Manolidis S, Frenkiel S, Yoskovitch A, et al. Mycobacterial infections of the head and neck. Otolaryngol Head Neck Surg 1993; 109(3 Pt 1):427-433. 10. Lee KC, Schecter G. Tuberculous infections of the head and neck. Ear Nose Throat J 1995; 74(6):395-399. 11. Munck K, Mandpe AH. Mycobacterial infections of the head and neck. Otolaryngol Clin North Am 2003; 36(4):569-576. 12. Cleary KR, Batsakis JG. Mycobacterial disease of the head and neck: current perspective. Ann Otol Rhinol Laryngol 1995; 104(10 Pt 1):830-833. 13. Bayazit YA, Bayazit N, Namiduru M. Mycobacterial cervical lymphadenitis. ORL J Otorhinolar-yngol Relat Spec 2004; 66(5):275-280. 14. Kim YH, Jeong WJ, Jung KY, et al. Diagnosis of major salivary gland tuberculosis: experience of eight cases and review of the literature. Acta Otolaryngol 2005; 125(12):1318—1322. 15. Bradley PJ. Benign salivary gland disease. Hosp Med 2001; 62(7):392-395. 16. Janssens JP, Haller R. Spinal tuberculosis in a developed country. A review of 26 cases with special emphasis on abscesses and neurologic complications. Clin Orthop Relat Res 1990; (257):67-75. 17. Schaad UB, Votteler TP, McCracken GH Jr, et al. Management of atypical mycobacterial lymphadenitis in childhood: a review based on 380 cases. J Pediatr 1979; 95(3):356-360. 18. Wolinsky E. Mycobacterial lymphadenitis in children: a prospective study of 105 nontuberculous cases with long-term follow-up. Clin Infect Dis 1995; 20(4):954-963. 19. Inderlied CB. Mycobacteria. In: Cohen J, Powderly W, eds. Infectious Diseases. Vol. 2. Mosby: St. Louis, MO, 2004:2285-2308. 20. Stewart MG, Troendle-Atkins J, Starke JR, et al. Nontuberculous mycobacterial mastoiditis. 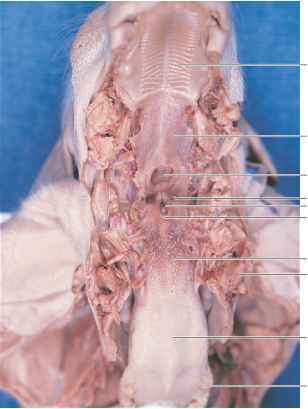 Arch Otolaryngol Head Neck Surg 1995; 121(2):225-228.